CROC WATCH: Where have Fraser Coast reptiles gone? FOR years reports have been made of crocodiles in the mighty Mary River and other waterways on the Fraser Coast. But so far in 2019, there have been a dearth of sightings of the reptiles that have been regularly spotted throughout the years. This time last year, there had already been three reported sightings by members of the public. A crocodile was reported at Little Tuan Creek in Boonooroo and at Scarness in Hervey Bay in March 2018 and on the west coast of Fraser Island in February last year. But the last reported crocodile sighting on the Fraser Coast was made in November last year. A member of the public reported seeing a crocodile in the Mary River. Before that, in October, a crocodile was reported at Gary's Anchorage near Fraser Island. 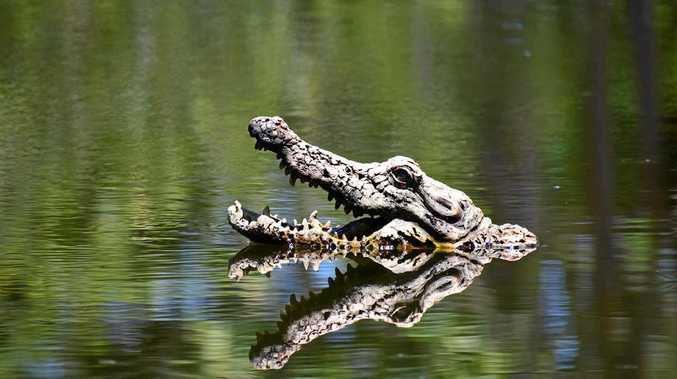 A spokeswoman from the Department of Environment and Science said 11 crocodile sightings were reported on the Fraser Coast last year, but none of them were confirmed after an investigation. The Chronicle queried the lack of crocodile reports since early November, but did not receive a response to the question. "All crocodile sightings are investigated by the Department of Environment and Science," the spokeswoman said. "These investigations may include interviews with people who report crocodile sightings, and daylight and spotlight surveys of areas where sightings have been reported." The spokeswoman said the Fraser Coast was considered an atypical habitat zone and any crocodile found in the region would be targeted for removal. Two crocodiles have been removed from the Mary River in the past five years. Earlier this year Tandora farmer Lindsay Titmarsh shared his concerns about crocodiles on the Fraser Coast after he found scratch marks he believes belongs to the reptiles 100m from his home. He said he fears it is just a matter of time before someone is attacked, either while fishing or while standing too close to the bank. Crocodile sightings can be reported to the department by calling 1300 130 372.